In a rush and don't have time to hand sew that binding on your quilt? Join us and learn how to use your sewing machine to do the finishing for you. All we need is you, your sewing machine and your basic sewing kit. You will learn how to cut the binding and also how to do "the math" on how much you need for every project. Then you'll learn how to sew the binding down and join the edges. You'll learn how to miter your corners and finish the binding on your sewing machine. 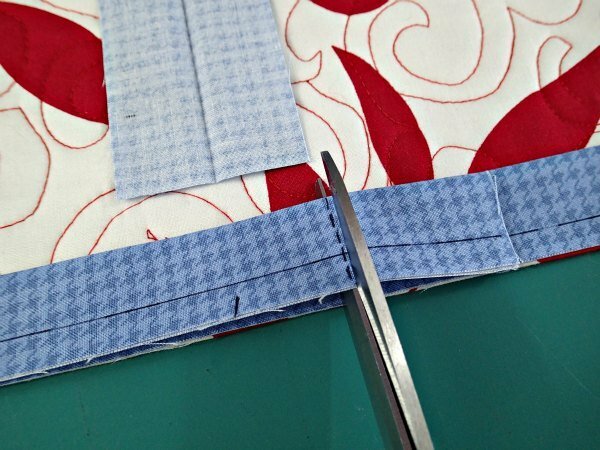 Once you learn this fun and easy technique you are forever stress free when binding your quilts! All materials supplied for success in class. Sewing machine in clean and good working order. New 90/14 or 80/12 sewing needle in machine. Neutral top and bottom thread. Basic sewing kit. Fee includes all materials required to participate in class.